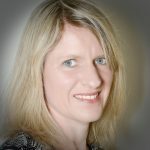 Debbie Austin is CIPD qualified presenter and trainer. She has a wealth of learning and development experience within the areas of Interpersonal Communication, Management & Leadership and PA Programmes. Debbie is also a personal coach and undertakes one to one coaching sessions to enable individuals reach their full potential. 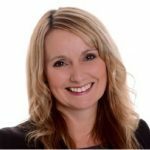 Helen Fooks from Vue IT Training has been working with companies for the several years to help their staff become more efficient and effective with their computing and technology. From teaching people how to use Pivot Tables to manipulate large amounts of data to preparing an email marketing campaign use Mailchimp, we cover everything from the Basics of IT, Social Media, Microsoft Office (Excel, Word, Powerpoint, Outlook, Access, Project, Visio, Publisher), Adobe Packages and Sage. What emotion would you like to control most? Is your career growing or shrinking?